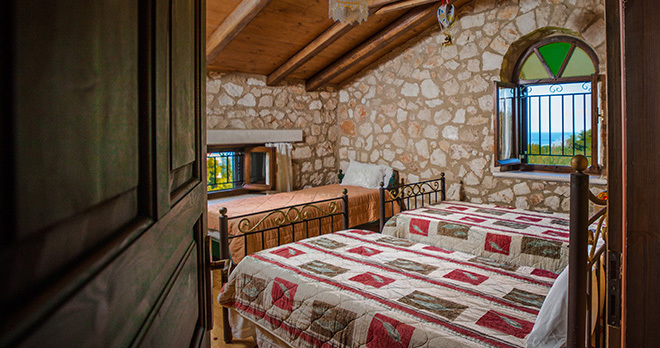 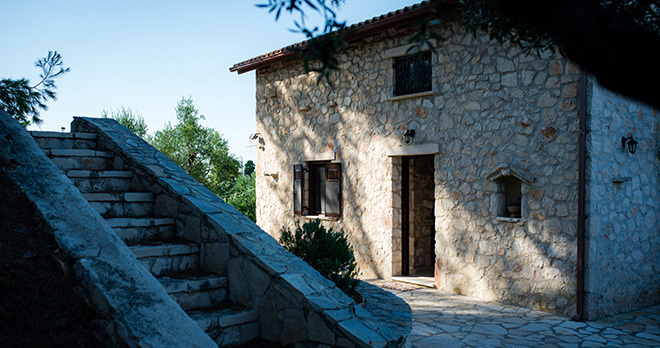 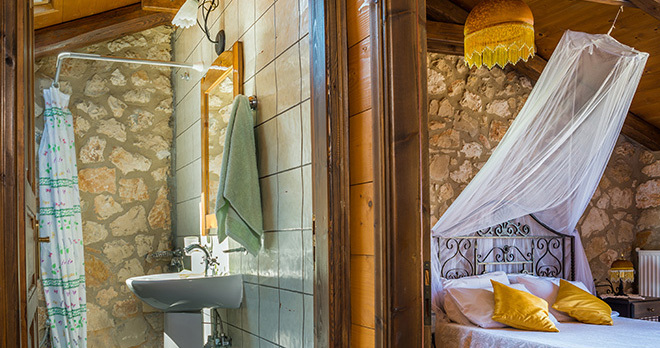 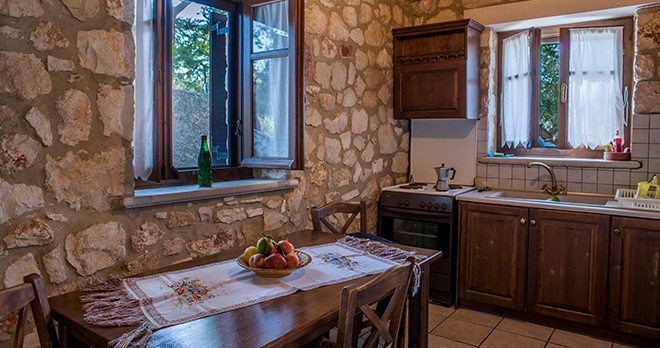 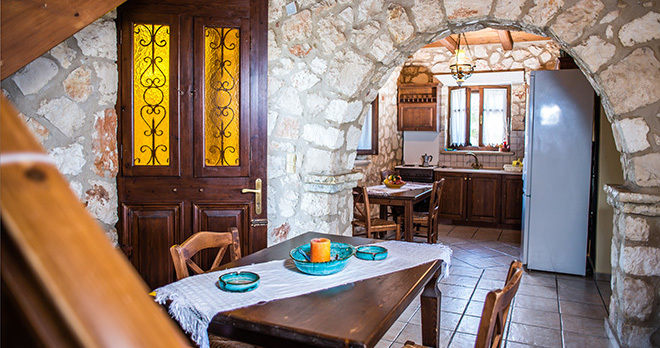 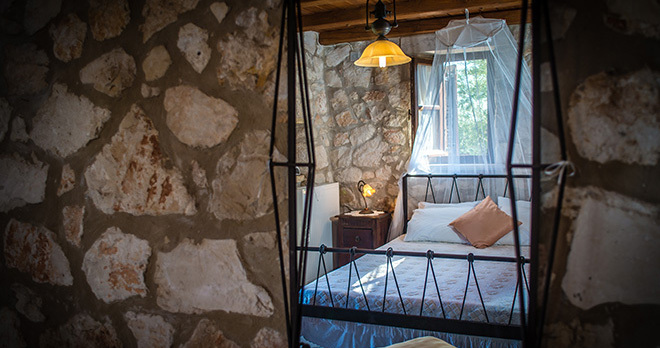 Our villa Anemona is built with local stones and wood in harmony with the surrounding nature. 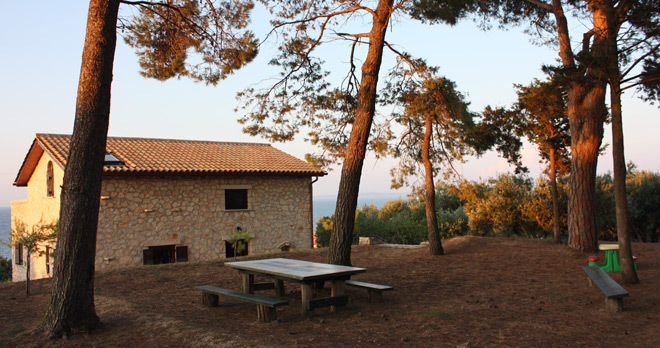 We offer you also a small private forest and an amazing view over the sea that is just 200 metres far! 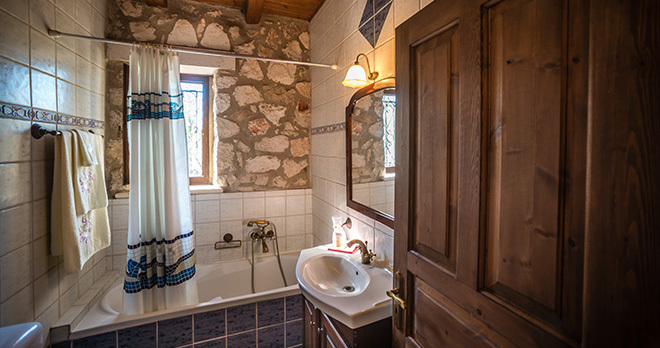 - bathroom with bathtub-shower and washing machine. 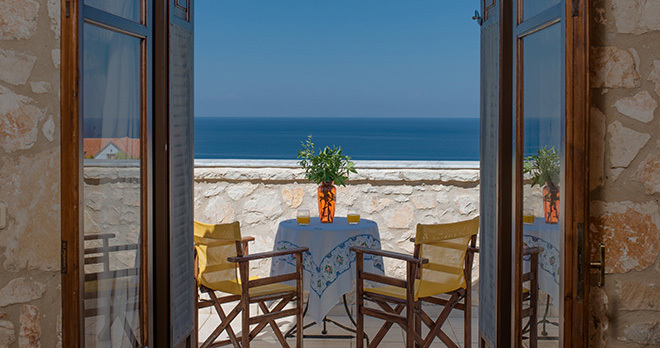 - big sea view veranda. 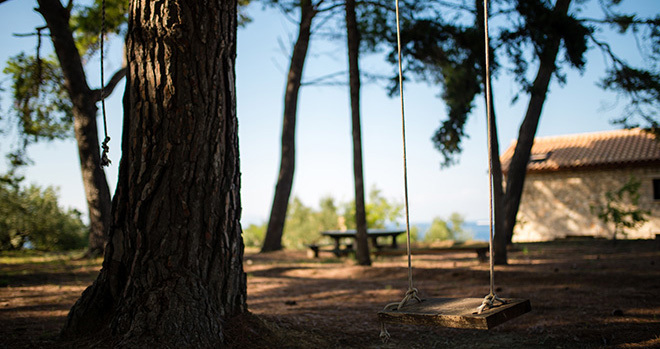 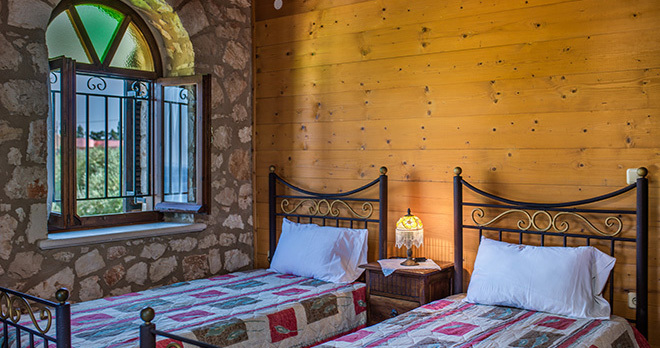 It is provided with satellite TV and air conditioning system; in the back of the villa there is also a large area, surrounded by pine trees, in which you can find children playground and picnic facilities. 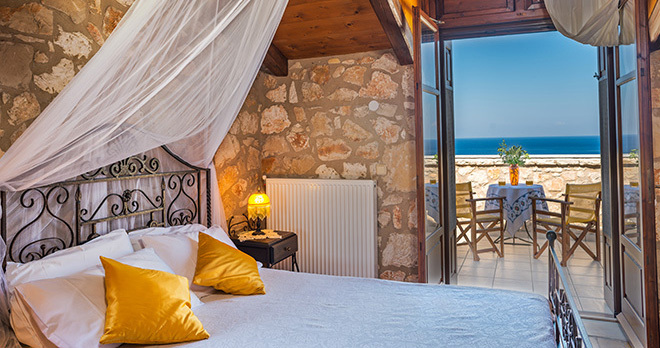 We also support our customers with transfer from port and airport, with car rentals and with change of sheets twice per week. 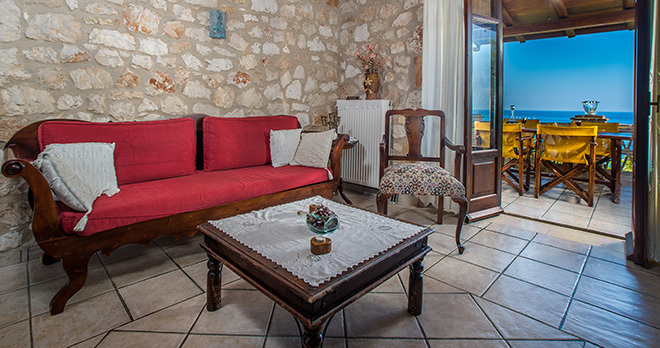 Spending your holidays in villa Anemona you’ll fall in love with the warm hospitality of our family and our care to look after our customers. 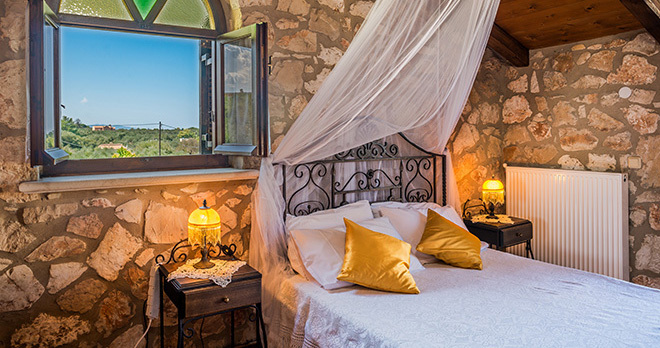 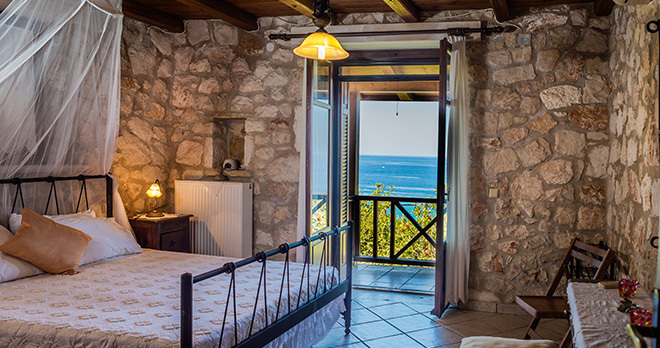 Villa Anemona is located along the road that goes from Zakynthos town to Tsilivi resort. 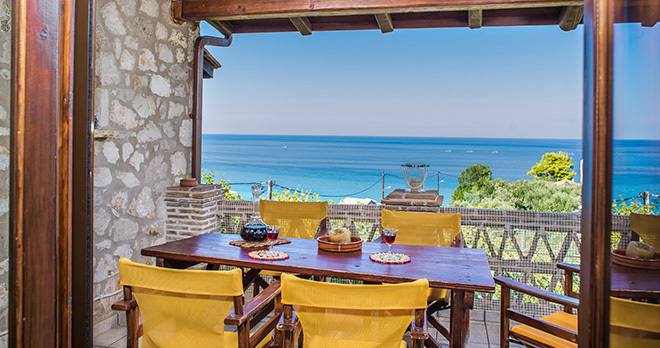 Tsilivi tourist village is just 3 km far from our villa, it has a marvellous sandy bay and any kind of services such as traditional restaurants, cocktail bars, rentals, markets etc..
An holiday in villa Anemona will permit a relaxing stay and a great position for all those who like to move around the island. 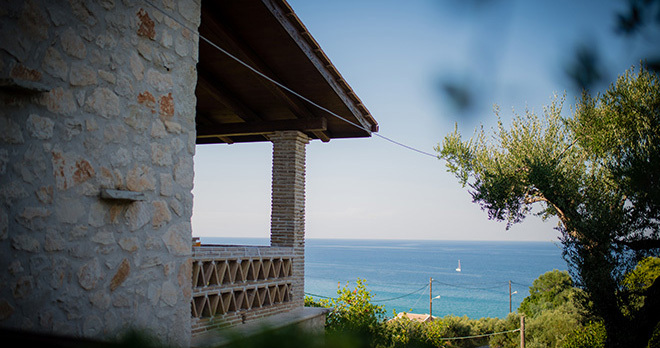 In a walking distance there is a small natural port and just 300 meters there is a bar with lounge chairs and umbrellas, and direct access to the crystal clear sea.